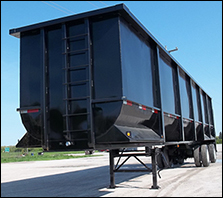 |CIF Industries, Inc.| Gondola Trailers, Crushed Car Haulers, and More! You can now subscribe to our newsletter to stay informed on available inventory by clicking the button on the left side of the page! With over 40 years of experience in the recycling industry, CIF Industries, Inc. has the capability to manufacture equipment to help your business run smoother and be more profitable. 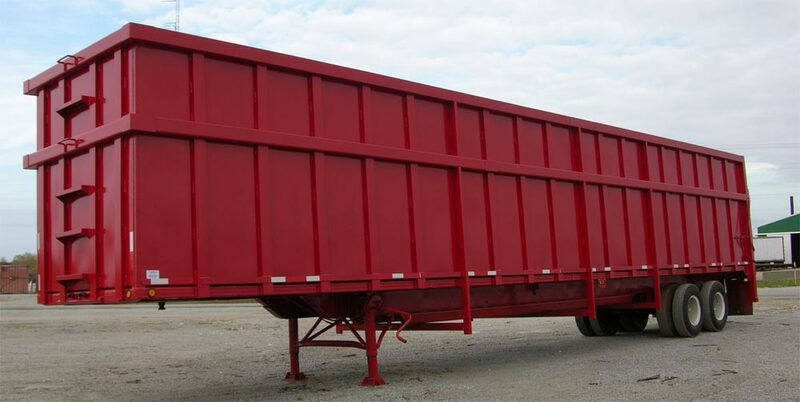 From lightweight gondola trailers for ferrous and non-ferrous metals to custom built fabrications, we manufacture our long-lasting, durable equipment with quality and precision every time. We design equipment to satisfy not only our customer’s needs, but also to meet market and industrial standards. We can customize fabrications to suit specialty applications. 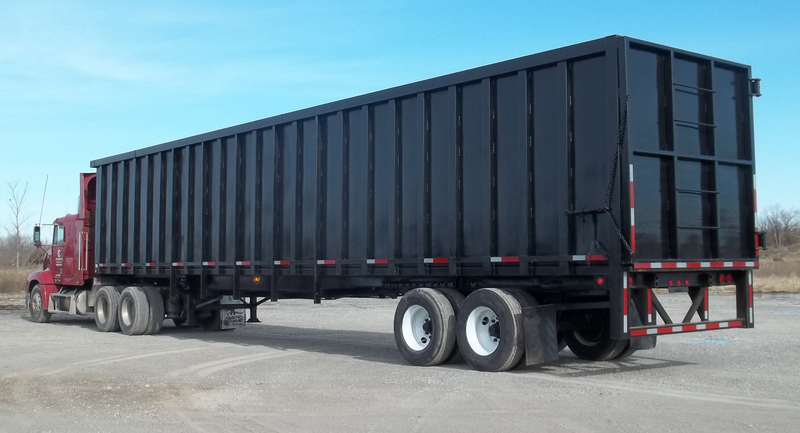 If you’re looking for watertight equipment, scrap containers, crushed car haulers, roll off containers, luggers, stackable or specialty containers, or if you need repairs done on your current equipment, we can help! We can rebuild your current equipment and we have the experience and know-how to design equipment to your specifications. 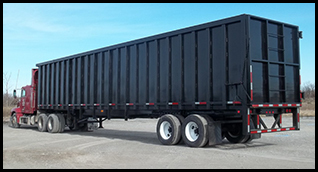 We repair all types of truck bodies, trailers and containers including dry vans, flat beds, straight trucks, roll offs, luggers and almost any type of container. If you require conversions or modifactions to existing equipment, we can do it! 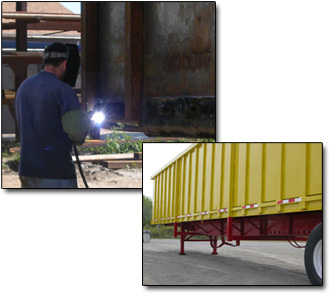 We offer sandblasting, painting and repair services for all scrap metal transportation equipment. We also do mechanical as well as structural repairs on trailers. We have a shearing capacity of 12’ x ½” and press brake of 12’ x 200 ton. We can cut patterns and fabrications on plasma or oxy-acetylene. We offer aluminum and steel welding and repairs. We also offer a full service fabrication shop for repairs and manufacturing of products. 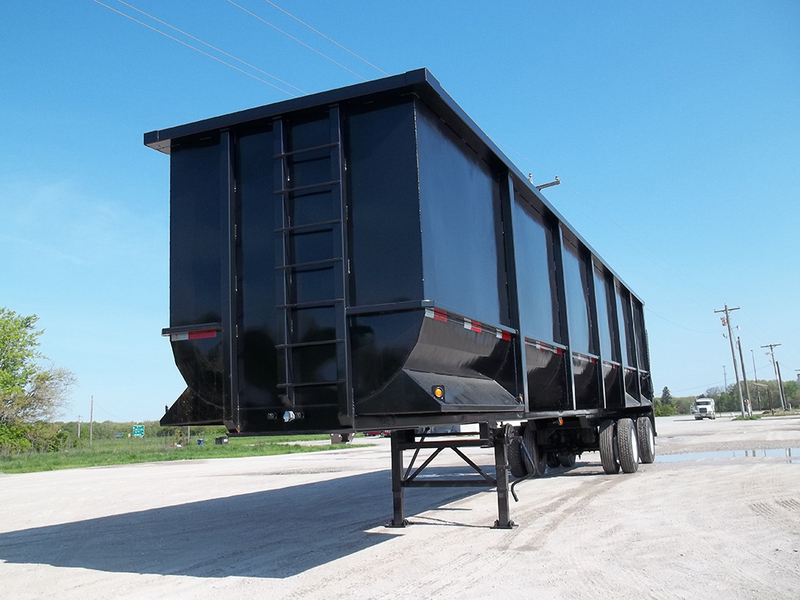 We build Gondola trailers, Roll off Containers, Luggers, Crushed Car Haulers, Watertight Equipment, Specialty Containers, Stackable Containers, and Custom Fabrications to suit our customer's needs!